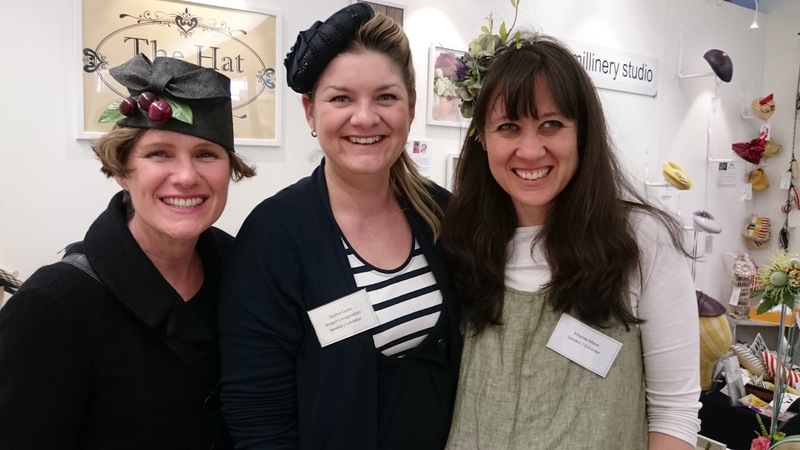 Earlier in the year myself and my Hat Stand Sheffield collaborators Amanda and Siobhan were invited to speak at the inaugural HATstock at Hat Works: Museum of Hatting in Stockport. 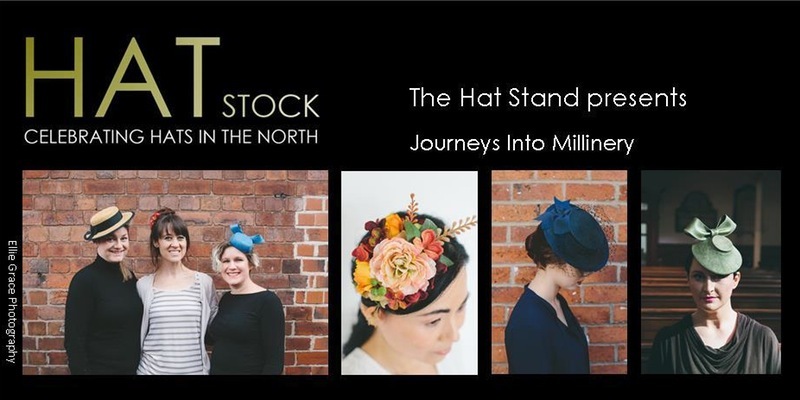 The event was to be a celebration of hat making in the North and we were incredibly honoured to have been invited to not only take part in the showcase, but to give a talk about how we, as individuals, got into millinery and how we got together to become The Hat Stand. We have been booked by a number of womens groups to deliver this talk in the run up to this year’s pop-up shop, but this was the first time we were going to deliver it in public (not my dining room!). We had the usual normal nerves about public speaking, but then who doesn’t? Then we found out about who some of the other speakers were and there were some pretty illustrious people in the hatty world. I’m actually playing this down, as I’m still slightly overwhelmed that we were invited to be on the same bill! 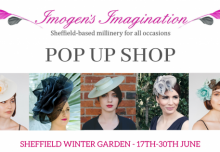 The other speakers included the organiser of London Hat Week Georgina Abbott; long term supporter of Hat Stand and editor of HATalk Magazine Becky Weaver; and my former tutor from Leeds College of Art, Sharon Bainbridge, a nationally renowned tutor and curator of hat exhibitions. Yeah, slight quickening of heart rate…until I found out that spaces for our talk had sold out. I’ll be honest, then I just felt a bit sick! As well as our talk, we had been offered the opportunity to display some of our work as part of the Millinery Showcase at the event. Cue a frantic discussion about how to create a slick and professional display as new details about the space emerged. We genuinely had an entire two hour meeting devoted to photo frames. The style, the size, the cost and how quickly we could source them. This was a whole new world for us, we know the pop-up shop so well now we can just rock up and set-up! This proved to be a useful example for our talk when discussing how collaboration, co-operation and compromise works between the three of us! The extended chat was worth while though and we were really pleased with our final display. The next task was actually delivering our talk. 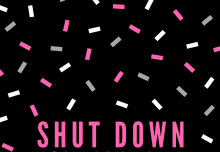 We knew what we wanted to say…we just needed to do it! Despite all our natural nerves, I was so proud of us all for how well we worked together to offer an insight into our girl gang. We backed each other up, prompted important points, but equally gave each other time to say what we needed to say. Kinda just like we always do at meetings! Our audience were lovely and friendly, they laughed in the right places, gave a tremendous applause and even came to compliment us on our delivery afterwards. Needless to say, this reaction has helped buoy our confidence to deliver this talk in the future, just as well as we are booked for another two sessions on this topic! Once this scary bit of the day was out of the way, we were free to enjoy the other goodies on offer at HATstock. 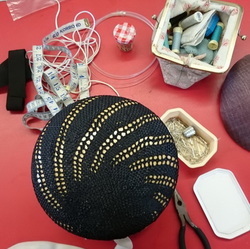 We were able to enjoy the other talks, chat with the other millinery showcase participants, do a bit of supplies shopping and meet the huge numbers of hat enthusiasts who came from all over the country. However, the total icing on my cake that day was selling a hat that I had specifically chosen to bring to HATstock. 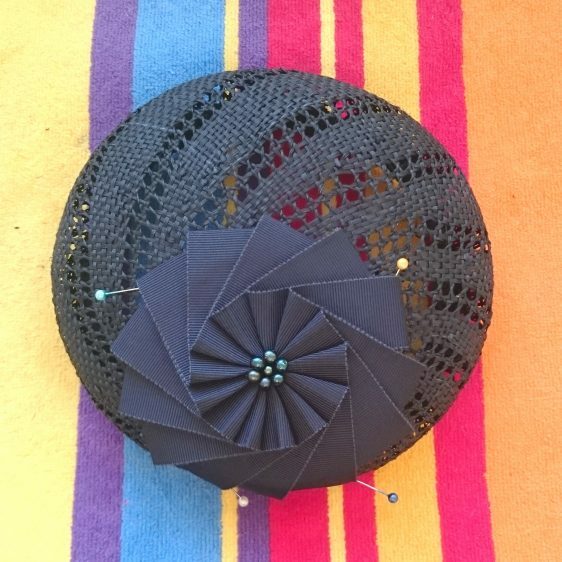 I actually made the base shape of the hat a year ago when I attended an open blocking session at the museum (You can read my blog about it here). This was when I first met Bronwen, the brains behind HATstock, so it seemed very fitting to bring the finished piece. Despite completing the design last year, on Friday morning I decided it was missing a little something. Nothing like a last minute design change to help with increased stress levels. But I’m so glad I added the gold painted edging to the petals on the hat, it really did make all the difference, and it’s new owner certainly though so too! I also chose to wear a rather special hat myself (I would have been totally under dressed without one!) and that too had a Hat Work link too. It was another of the pieces that I had blocked at the same session last year, but that had remained completely unfinished until the Friday before HATstock! I really didn’t think any of this through. We had a simply fantastic day at HATstock and we have to offer our gratitude and huge thanks to the amazing Bronwen and all the Hat Works staff who worked so, so hard to make the event happen. We were so honoured to be invited to take part and it was such a privilege to be involved in such a brilliantly organised event.